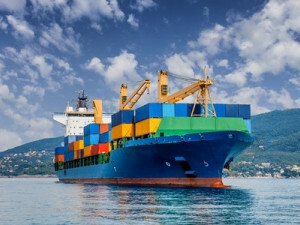 Cargo ships could be 'crew-less' within the decade. Smart autonomous ships will soon be joining the Internet of things wave, as shipbuilders commit to having them fully operational by 2025. Japanese shippers Mitsui OSK Lines and Nippon Yusen have said they plan to work together to develop technology which will make these unmanned cargo carriers possible. This is according to the Nikkei Asian Review, Japan's business newspaper. The companies say these ships will hopefully reduce accidents at sea as they will be able to plot the most fuel-efficient, safest and shortest route to its destination. Artificial intelligence will be used to analyse weather data and potentially dangerous obstacles. This information will help with rerouting while on course. In addition to plotting and rerouting, the smart ship will also be able to analyse itself and predict internal problems and malfunctions. Removing crew members will reduce the risk of human error, cut costs on salaries and create more space to carry more cargo. The companies hope to build a fleet of 250. Other firms are working on similar technology. Last year, Rolls-Royce published a vision on how it sees the future of remote and autonomous shipping playing out. Oskar Levander, Rolls-Royce VP of marine innovation, said it was not a case of if self-navigating ships would be a reality, but a case of when. He said the company was testing sensor arrays in a range of operating and climatic conditions in Finland, and has created a simulated autonomous ship control system which allows the behaviour of the complete communication system to be explored. "We will see a remote-controlled ship in commercial use by the end of the decade," said Levander at the time. Similarly, Norwegian company Yara said last month it planned to build the world's first fully electric and autonomous container ship, with zero emissions. It said production would start next year and the ship would be fully operational by 2020.